BOLTOG Limited was incorporated in August 1995 as a limited liability company with the aim of providing efficient EPC in Electrical/Instrumentation, Piping/Mechanical, Marine and Sub-Marine Engineering, Diving, ROV & FEED services to the upstream and downstream of the Oil and Gas industry. Boltog Limited is also a private inspection company; registered and government licensed under registration number 277 679 in Port Harcourt, Nigeria , with authority to conduct all kind of inspection & quality services within Nigeria and all West Africa countries. Boltog Ltd established in 1995 has been created with the purpose of providing advanced Technological Support regarding Quality Control and Inspection Services. BOLTOG Has All The Horsepower You Need. To constantly improve what is essential to human progress by mastering science and technology. This concept is bedrock to BOLTOG’S culture and has been since Odim N. first said, “If you can’t do it better, why do it?” It underscores our drive to become an ever better and bigger company. 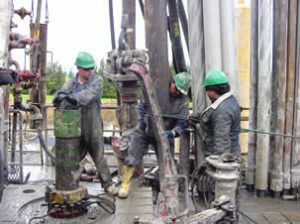 The services we render find their way into products that provide the Oil and Gas industry world over with improved lifestyles. All of us at BOLTOG must understand and take pride in this. We must also use this concept to further connect BOLTOG with the external markets we serve. When we think in terms of the markets we serve, we become more outside-in focused and we can better seek growth opportunities. We must put our science and technology to work to create solutions for our customers and for society. 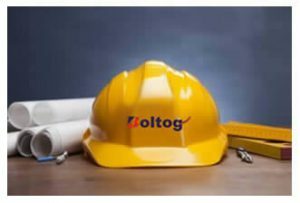 BOLTOG Group has established a reputation for quality engineering design, marine/Subsea construction, project management and diving/ROV and Power services. Our focus encompasses upstream oil and gas, Offshore and Deep Offshore and Subsea environment. BOLTOG is fully backed by a hands-on management team, a solid support staff and cutting edge system. Our philosophy is simple; deliver the highest quality, highest value project on time, within budget and with no surprises. That’s our goal ,backed by BOLTOG energy and strategy. Our Company has a network of qualified surveyors to perform world-wide services for the tasks assigned to. Currently Boltog Ltd has acquired a significant market share consolidating our nature of 3rd party Agency and enlarging it with management assistance for the leading multinational companies operating in the oil, gas, petrochemical, power, water and other industrial fields. BOLTOG limited has her operational office at BOLTOG Centre, 12/14 Babs Animashaun Street Lagos State, Nigeria. We also have expediting and logistic offices in USA, Dubai and Canada.